I don’t like Egg rolls from fast food shops very much. Instead my wife makes a few similar things for me at home. Homemade tastes better for me. This one is one of the many. 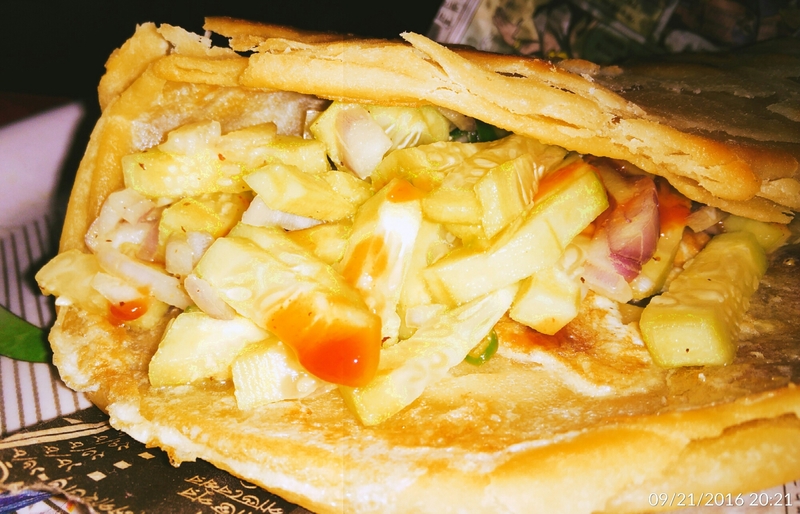 Wrap is prepared using flour dough. This is simply a paratha with egg fried to it’s one side. Inside we had mayonnaise, chopped cucumbers, tomatoes, onions. Believe me, everything you prepare at home tastes awesome!